Extremadura: Born and Bred. $25/Free with invitation code. 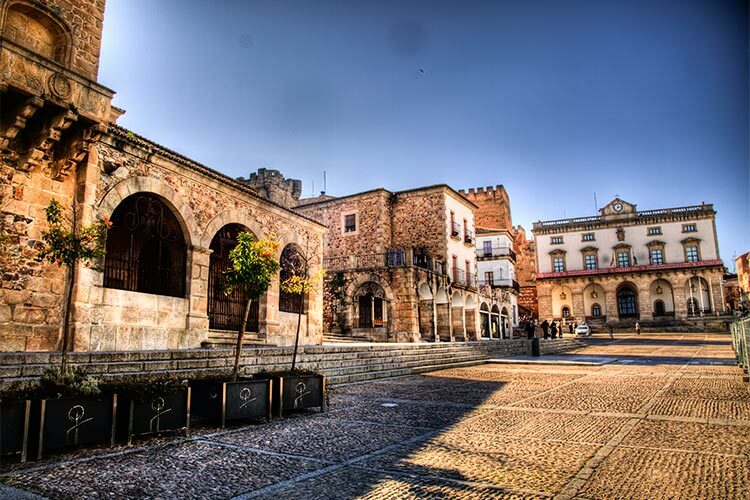 A journey into the food and culture of Extremadura. A region where food and landscape are intimately joined; land of acorn fields and their famous inhabitants, the Iberian pig. Ana Duato takes us on a trip into the province of Cáceres where we discover the centuries old tradition of raising the Iberian pig and learn the process of producing the world famous Iberian ham. Together with Ana we discover the lesser known jewels of the province, historic towns such as Trujillo and regional food customs such as the criadilla mushroom foraging or the shepherd’s migas, prepared and eaten in the field. A Country to Eat (Un país para comérselo) is an award-winning Spanish food and culture documentary series that brings to life Spain’s deeply-rooted traditions and untold stories. On an open talk with chef Toño Pérez and Prof. James Fernández we discuss the regional character of Spanish cuisine and the changing role that these differences have played in the past few years. An open-ended discussion on the value and the role of culinary regionality in contemporary Spain. Tasting: Extremadura to die for. Michelin-starred chef Toño Pérez expertly crafts dishes that reflect an appreciation for the past and a taste of the future, followed by a sampling of regional products from Extremadura. Complimentary wine & drinks will be served. A First Taste: Cocktail Hour and Professional Networking Session. By invitation only.